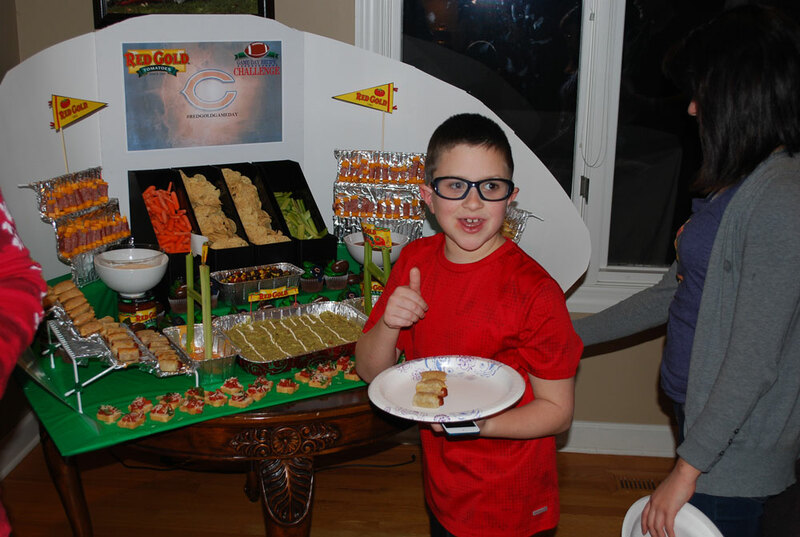 If you want to take your next game day party to the next level consider building a Snackadium to serve appetizers, dips and snacks. Perfect for New Year's Day, The Big Game at the end of January, the World Series or even a March Madness party! I accepted a challenge from Red Gold Tomatoes, who generously provided samples and compensation, to build this Snackadium. I will tell you it was a challenge, but it was also a lot of fun, involved my whole family, and made for a really fun game day party. 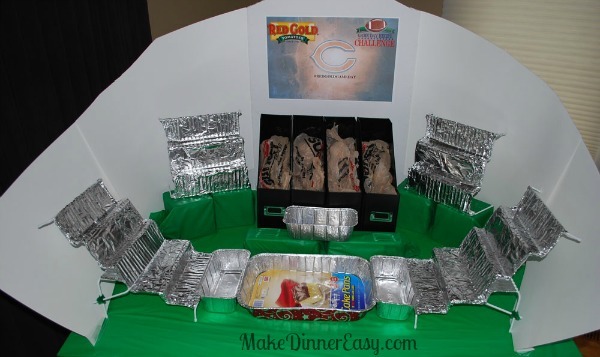 I figured out some ways to build the Snackadium fairly easily and used some really easy recipes from Red Gold so I wasn't fussing a lot in the kitchen. The result was a fun centerpiece for a game day party! 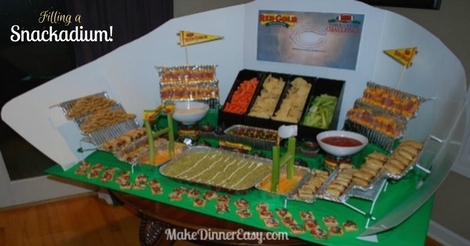 I'm not the first person who has built a Snackadium. I've seen others that have been built that require a lot of construction and cardboard cutting. I wanted to build a structure that was easy enough for a Mom like me to make with her kids without the need for a general contractor. After a few failed attempts we determined that using a combination of purchased materials was the quickest and easiest way to assemble the structure. I've outlined a step by step guide for how to build a Snackadium including all the materials you will need, but basically, this is the structure that we used. 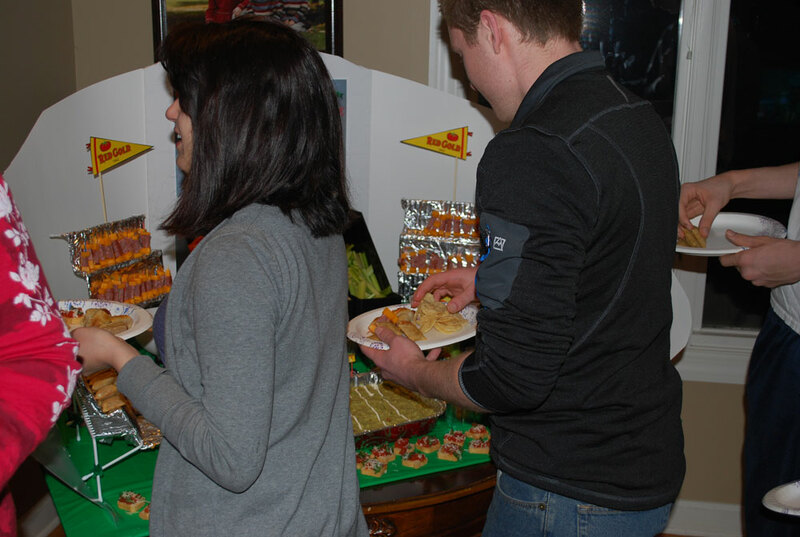 Although everyone raved about the Snackadium as well as the snacks, they really went nuts for the Easy Bruschetta and the Queso Dip. I'll be honest, I usually either make my own bruschetta topping or buy a deli variety. The recipe on the Red Gold site was so easy. It only calls for 4 ingredients including their petite diced tomatoes with garlic and olive oil. I would say, this appetizer was the hands down hit of the party! 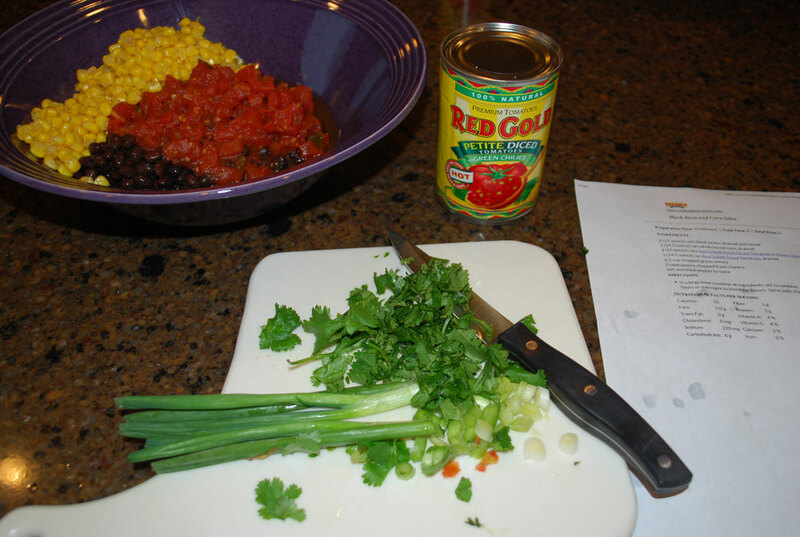 Also another benefit to using Red Gold tomatoes to make the Queso Dip is that the Petite Diced Tomatoes & Green Chiles from Red Gold come in a pop top can. 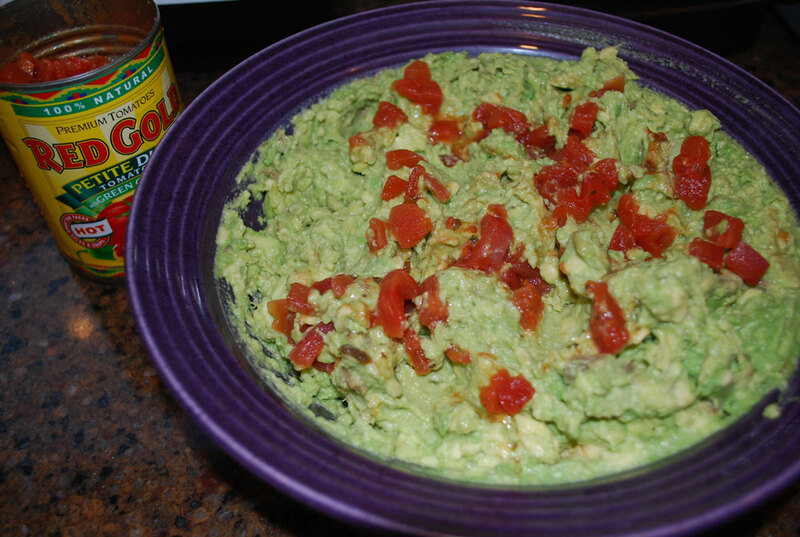 This makes it a perfect quick appetizer to make, even for a college student. 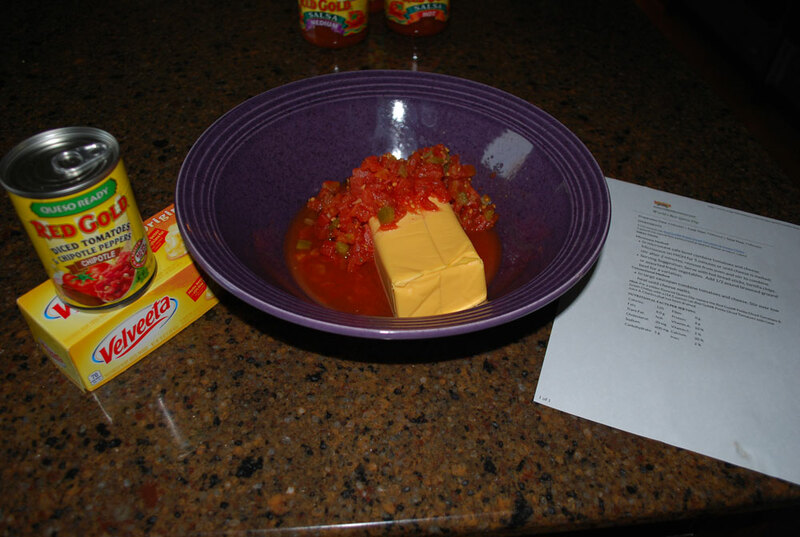 Only a microwave is needed, no can opener is required, and all the ingredients are shelf stable. 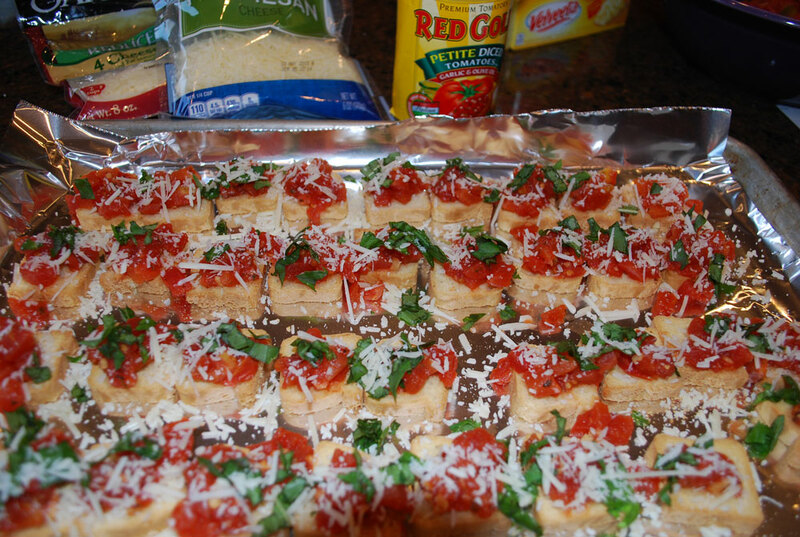 We will definitely be making these appetizers in our house again! 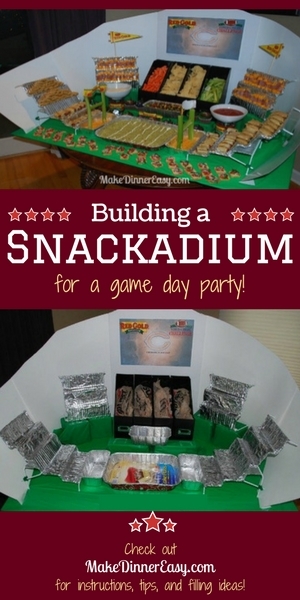 If you want to include a Snackadium at your next Game Day party it does take a little bit of planning but for me it was well worth it. Although I had prepped quite a few things before our guests arrived I still had a few things to do and our guests happily pitched in. Actually, putting the Snackadium together became part of the fun of the party and the ideas that people had really added to and improved on the plan I already had. For example, I was a bit stumped on how to make the goal posts and one of the guys who came over whipped up some amazing celery goal posts in no time and even had the idea to incorporate the Red Gold label on the uprights - brilliant! It was evident that our guests really got a kick out of seeing and helping put together the final project by the number of cell phones that people had out taking and posting pictures. Yes, the snacks were great, but it was the process of putting this together that really made it a party. If you want to build one of these yourself, I've outlined step-by-step instructions including all the materials you would need to make your own!